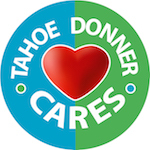 These services are provided for Tahoe Donner homeowners. These businesses have advertised in Tahoe Donner News. If you would like to advertise, contact our sales representative, CCMedia. Tahoe Donner Association makes no claims regarding the quality of goods or services provided by these companies. Potential customers are advised to use their own best judgment. We do the job right the first time and our customers receive honest value. Environmentally friendly products! We offer tree removals, tree pruning, stump grinding, defensible space and more. Owned by an ISA certified arborist. Free estimates. Cut-Rite Tree and Spray has been providing high quality pest control services to the Lake Tahoe area since 1971. We offer house and tree spraying for control of carpenter ants, bark beetles, aphids, mites, and scale. We can also help control rodents, such as, chipmunks, squirrels and mice in the house and moles, voles and gophers in the landscape! Stump grinding too! We are open 7 days a week. Full service tree care and defensible space. Jason Hall is a certified arborist and has lived in Tahoe Donner for 16 years. 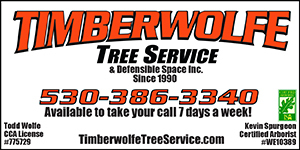 We are a full-service Tree company that covers everything from large removals and lot clearing to defensible space. Visit Oxborrow Landscape Materials' new location at 2050 Kleppe Lane, Sparks, NV 89431. We have over 70 different landscape material products and we deliver! Thick, protective sealant applied with a 3-step process to give you long lasting durability and value. fireplaces, spas, outdoor furniture, firepits, barbecues, home accessories and more. 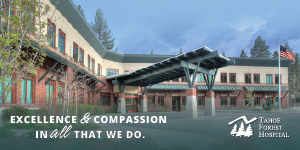 Tahoe Forest Health System offers 24-hour emergency care, a total joint orthopedic program including direct anterior hip replacement surgery, physician multi-specialty clinics, OB department, and Gene Upshaw Memorial Tahoe Forest Cancer Center. With a strong focus on high quality patient care, community collaboration, clinical excellence and innovation, Tahoe Forest Health System is a UC Davis Rural Center of Excellence. For a complete list of physician specialties and services, visit www.tfhd.com. Tahoe’s reliable home care since 2000. We take care of your cleaning and home needs. We proudly service all your plumbing needs in all of the Truckee and greater Lake Tahoe area, specializing in service, remodels and new construction. Not just your local plumber, a resident as well! Looking forward to assisting you, your family and your friends. As always in advance, during and after... we thank you for your business and supporting your Local Truckee/Tahoe Trades! InMotion Heating & Plumbing is the capable, experienced, no-nonsense choice for heating, cooling and plumbing systems. 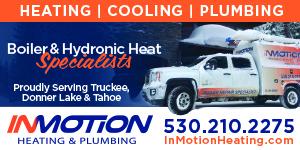 Specializing in boiler and hydronic heating systems, our experts come prepared with over 20 years of specific experience in the Truckee/Tahoe area. Whether performing routine maintenance or repairing emergency leaks, shutdowns, blowups or failures, we are here to help. Serving Truckee, Donner, Lake Tahoe and Surrounding Areas. Second Home Care, is a Tahoe Donner resident owned company providing complete year-round service. Reliability equals peace of mind. 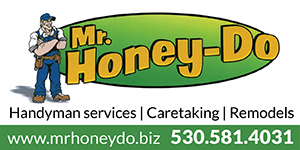 Mr. Honey Do is your full service, registered handyman and caretaker service. Serving the Truckee area. For all your home improvement needs, just give us a call! In need of a reliable, professional, Painting Contractor, Carpet Cleaner or Emergency/non-emergency Disaster Restoration? 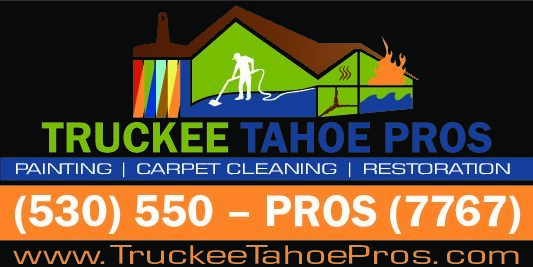 Truckee Tahoe Professionals: Painting contractors, Carpet Cleaning Experts and a 24/7 Disaster Restoration Team. Also offering Eco Friendly alternatives. Locally owned (Tahoe Donner resident) HVAC company, with 30 years experience. We specialize in repair, maintenance and replacement. We are a Ruud ProPartner, but service all makes and models. We are a Home Advisor top rated company. We understand the challenges of second home owners, and do our best to accommodate individual needs. Ask about our monthly specials, and Tahoe Donner resident discounts. As the premier floor covering showplace in Truckee, Bassett Flooring is your one-stop showroom for all of your floor covering needs. 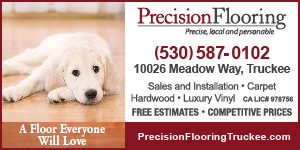 If you are in the market for flooring, Precision Flooring's professional and knowledgeable staff will help you select the right product to fit your budget, taste, and lifestyle. We service residential, commercial and rental properties in the Truckee and North Lake Tahoe area. CA Lic #978756. Easterbrook Painting, Inc. specializes in interior and exterior coatings, excellent customer service, and attention to detail. Protect, restore, and beautify your home with quality products and professional workmanship. Offering premier interior/exterior paint, stain, and lacquer as well as deck restoration. Friendly customer service and free estimates. Specializing in exterior staining and wood restoration, as well as superior interior finish painting, staining and lacquering for all remodels and new construction. With $190,000,000+ Tahoe Donner real estate transactions since 2009, Alison knows your market. 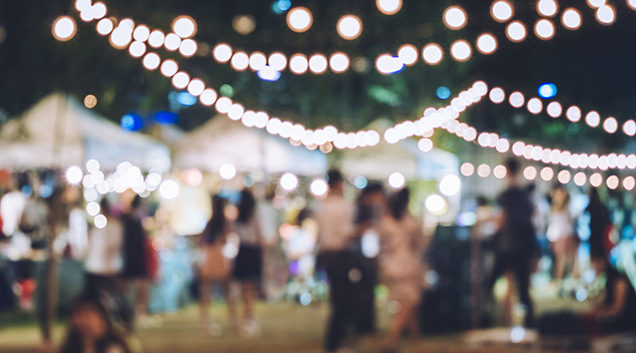 Contact Elder Group Tahoe Real Estate today! Competent, Attentive, Experienced-20 years & going! No pressure, just a lot of attention and valuable insight! The regional leader in real estate sales, incl. CA and NV. An extraordinary experience! Opening Doors to Tahoe Donner Since 1980 - Let our experience work for you! Landing finds willing vacation-home owners interested in renting their house out seasonally or long-term. We help get their house ready to rent and then match them with a vetted local employee through our trusted online platform. Simplifying your mountain life. Delivery high quality, reliable snow removal; friendly, responsive customer service, driveway staking, and daily email updates.